I love Valentine’s Day and I’m not the least bit ashamed to admit it. I have always been a sucker anything heart shaped, although I’ve always wondered where the shape originated from, because it certainly isn’t the human heart. Add to that my adoration for chocolate and cards with loving sentiments, and I’m a goner. Today I have perused a plethora of posts and blogs about the hatred of hearts and cupid and even love. That’s fine, I hate Halloween. I always thought it odd that parents would dress up their children in costumes and masks where they can’t maneuver around or see very well, and send them out in the dark to beg for free candy from strangers (yes I gave in too), but I digress. I could start a Halloween haters club. I could dress up in black and plaster my face with hateful expressions, but I would just fit right in, so I think I will continue to do what I have done in recent years, which is simply ignore it. Most of the Valentine’s Day haters have one thing in common; they are single. But, who says Valentine’s Day always has to be associated with “lovers”. Okay, I admit, it is a holiday about love and cupid and his arrows. For me personally, still in love with the man I married almost 21 years ago, it is a “lovers holiday”. However, I also think it’s a great time to acknowledge other Valentines in your life. We always say, “don’t forget to hug your loved ones”, and “if you love someone, let them know”. Well, what an opportunity and the retail world is more than ready to help you find the right sentiment. 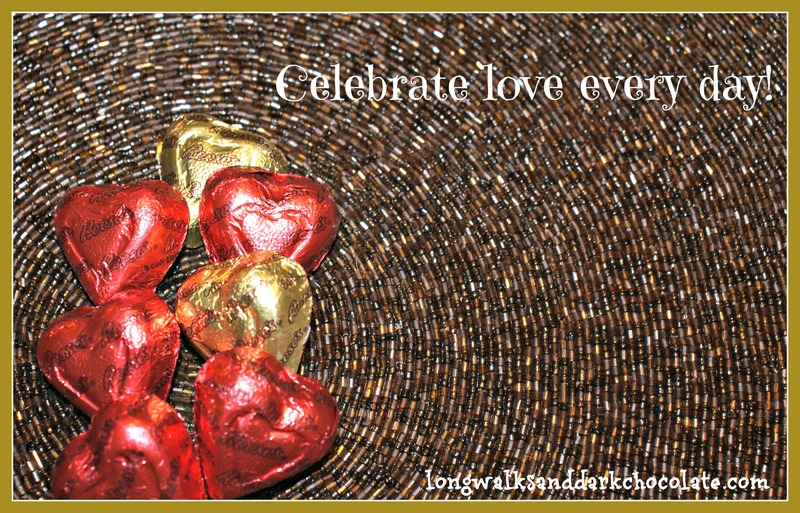 If you are feeling negative or cynical about hugs and kisses and all things smoochie, opt for celebrating with a friend, or a relative, or your kids! I have been told that I often look at the bright side of things, and I take it as a compliment, although sometimes I’m not sure it’s meant that way. In the spirit of looking at things from a “glass half full” perspective, I encourage you to try something new this year. Reblogging from last year; still appropriate ❤ Happy Hearts Day!